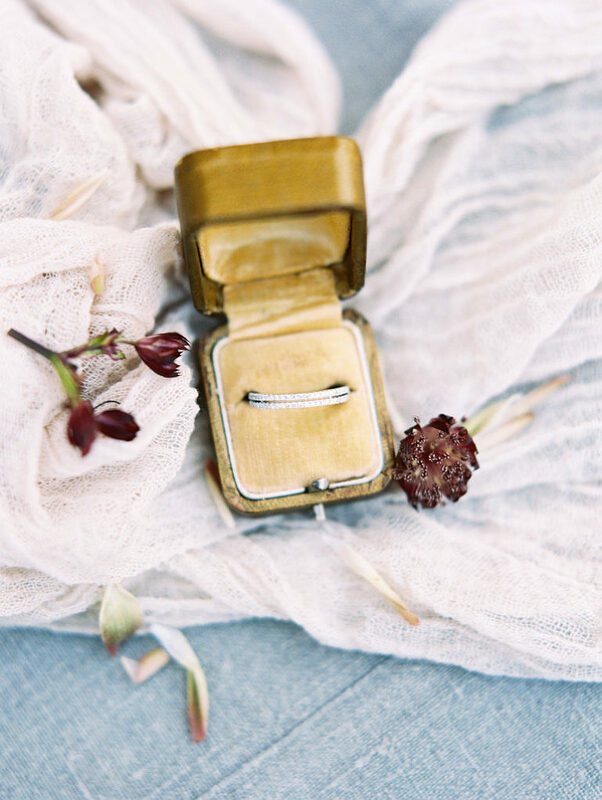 As a lot of you guys who follow me on Instagram know (@birdsofafeatherevents), I have a complete obsession with vintage ring boxes and my collection is a bit out of control – especially considering the fact that I only do 8-10 weddings each year and about 5 editorial shoots. 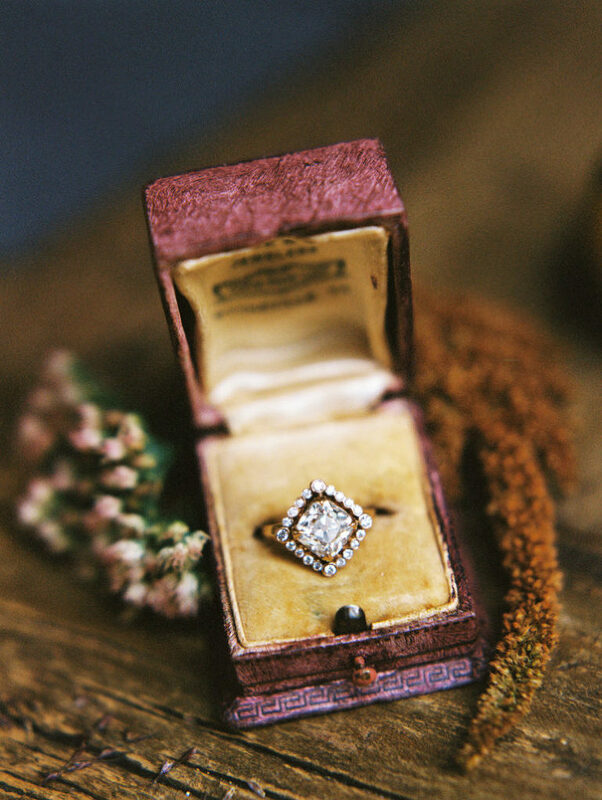 Some may argue that I have more vintage ring boxes than I will ever use or need. To those people I say, “SO! 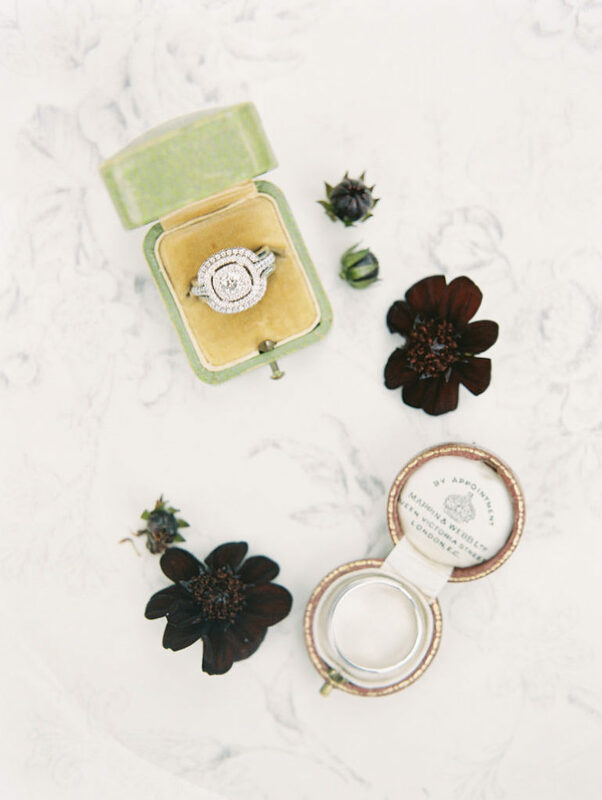 ?” Below are some highlights of ring shots from this year’s weddings and editorial shoots. I have a few more coming down the pipe from some workshops I designed/styled the last couple of weeks and I’ll add those as soon as we get the film back. Comment and let me know which one is your favorite! 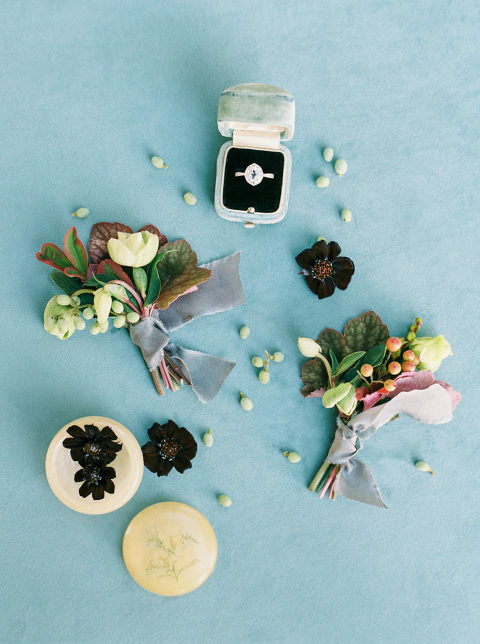 Brides rings styled in a light green box with dark ivory interior, and grooms ring styled in a really unique brown box. 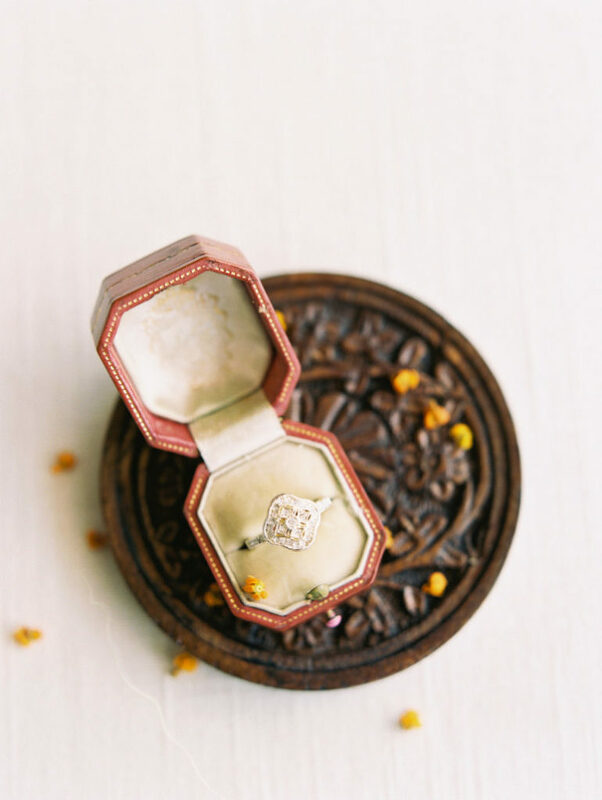 I’ve been on the hunt for another ring box in this style for years, but have not been able to find one. push her film. I’m not complaining about the result, loving the dark and moody feel. purple box as it fit in with our overall color story perfectly! for an editorial for Style Me Pretty. for an editorial for My Wedding Magazine. I usually do not like to use my boxes more than once, but for this gal I made an exception.